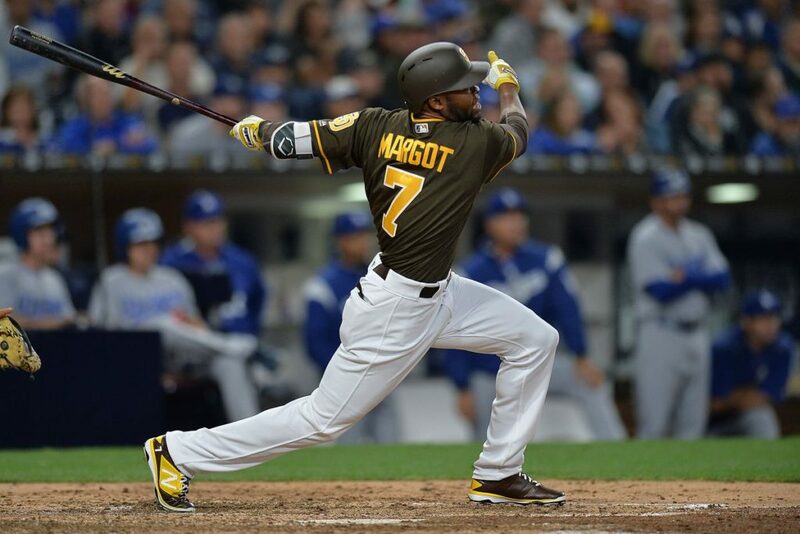 2018 was a disappointment for Manny Margot in a year where many thought he would make the leap to the next level. He got nailed with a fastball to the ribs pretty early on in the season and subsequently struggled following a DL stint. He heated up alongside the weather in the summer, but cooled off well before the temperatures did. That was a completely unnecessary analogy used to essentially say that Margot struggled for a good portion of the season. Statistically, he took steps back across the board. On the bases, he was nothing short of a disaster. At the plate, he looked out of sync. But he played his usual rangy defense in center and is still just 24 years old, so he very much has a future with this team. He may just have to fight a bit harder for it than most of us anticipated in 2019. Mejía only saw action big-league action in 20 games in 2018, so a traditional F-through-A grade wouldn’t be appropriate. He provided some electric moments–walk-off grand slams and two-homer debuts tend to do that–but he also showed that he has a lot to improve upon. It’s entirely possible he has the worst plate discipline of anyone in the Major Leagues, and his catching instincts still lag far behind his cannon arm. He does, however, possess unteachable bat speed and All-Star potential. 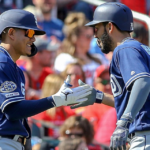 Mejía should start every day for the Padres in his first full season in 2019. In case you checked out around All-Star break, you read that first part right. Third baseman Wil Myers. He made starts at first base, third base, left field, center field, right field and designated hitter in 2018, in addition to missing just under half the season due to an assortment of injuries. The Padres value Myers’ bat enough to yank him around the diamond just to keep him in the lineup, but truthfully, he didn’t have a spectacular offensive year. And his defense at third base was about as bad as you’d expect. Three-error games, grounders to the face, all of it. 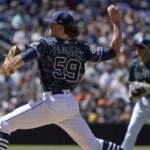 The outfield situation projects to be equally as crowded in 2019, but Myers is still extremely talented and is capable of playing All-Star-caliber baseball. We just need to see it for a full season. Pirela, arguably the team’s best hitter in 2017, didn’t do a whole lot of note in 2018. His defensive versatility is probably his biggest strength, but nothing about his overall performance this year screams “starter.” He’s under team control for 2019 but is also quickly approaching 30 years old without a clear path to consistent at-bats. I wouldn’t expect Pirela to be back. 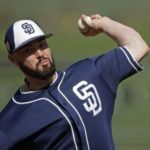 If Freddy Galvis was the 2018 Team MVP, Renfroe was certainly this year’s Most Improved Player. He hit .43 points higher against righties this year as opposed to last and rode a blistering finish to a career year. I have been critical of Renfroe in the past, but it certainly looked to me like he turned a corner towards the end of the season; I now fully expect Renfroe to be that legit middle-of-the-order threat for the Padres that we all expected when he was drafted 13th overall in 2013. 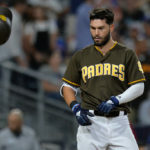 Winters in baseball are always unpredictable, so it’s possible AJ Preller cashes in on the trade market when Renfroe’s value is at its highest, but don’t count on it. Renfroe could easily hit .270 with 40+ homers in 2019. 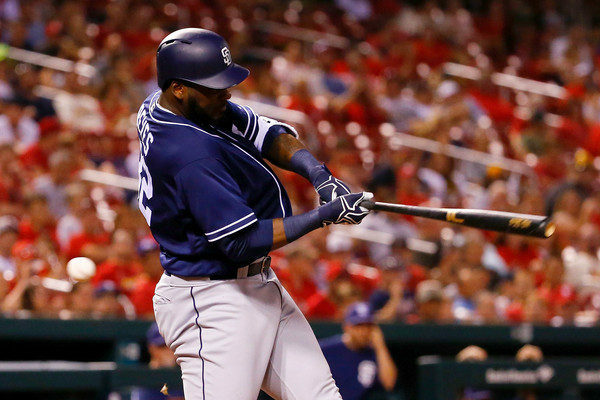 Franmil Reyes was a revelation for the Padres in 2018. Underrated throughout his come-up in the Minor Leagues, Reyes finally got his big break this season and ran with the opportunity. 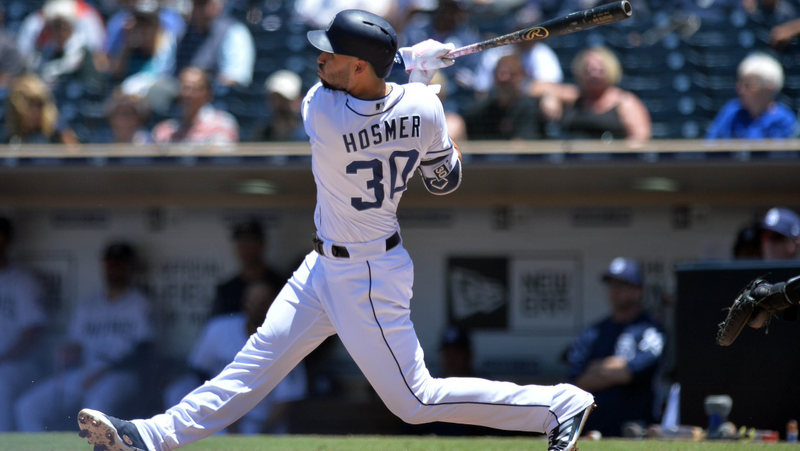 So much so, in fact, that he gets the best grade of any Padres offensive player in 2018. Raise your hand if you predicted that in March. And if you have your hand up right now, put it down. Stop lying. I don’t expect Reyes to hit .280 next year, but I could certainly see 35+ homers (hopefully with some guys on base this time) in a full season’s workload, a workload that he has earned and should receive in 2019. Spangenberg followed up a surprisingly solid season in 2017 by being just okay in 2018. He can play all over the diamond, provides decent pop at the plate and good speed on the bases, but doesn’t have a true, go-to tool. He also caught the strikeout bug that was apparently going around the Padres clubhouse, punching out at an abysmal 33% clip. 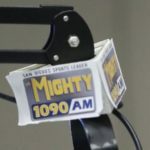 Defensive versatility is probably the only thing keeping Spangenberg on a Major League roster at this point, although that roster may not be the Padres in 2019. Urías is in the same boat as Mejía here; 53 plate appearances is not nearly enough to generate a fair assessment of his 2018 season. 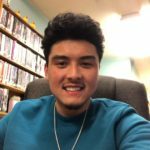 A pure hitter much more in the mold of a Dustin Pedroia than a Dan Uggla, Urías has a real shot to be a .300 hitter in the Major Leagues. His advanced plate vision was on display in his short stint in San Diego, as was his defensive prowess and sneaky power. A hamstring injury cut an already short season even shorter for Urías in September, but he should maintain a firm hold on the second base job in 2019 with a chance to develop into an All-Star at some point. All things considered, Villanueva had a very respectable rookie season. 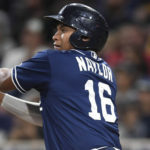 Despite the rapid increase in long-balls across the Major Leagues, 20 bombs in 351 plate appearances is still nothing to scoff at, and he made incredible strides defensively as the year progressed. 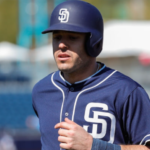 He’ll have to improve his contact rate and plate discipline moving forward, and it remains to be seen whether he is part of the Padres’ future–Preller’s free agency plans at third base will have a lot to do with that–but Villanueva established himself as a legitimate Major League third baseman in his age-27 rookie season.